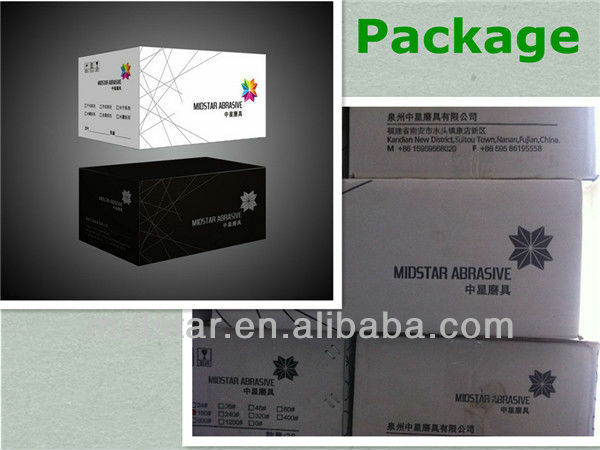 1) carton package and wooden pallet for dry diamond polishing pad for granite stone. 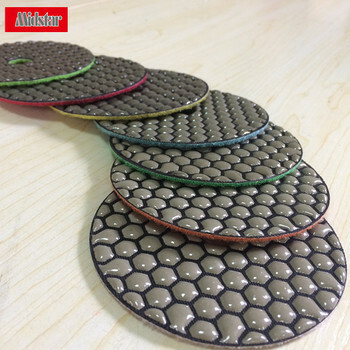 2) 8 pcs in per small box , other specification can be ordered by customer for dry diamond polishing pad for granite stone. 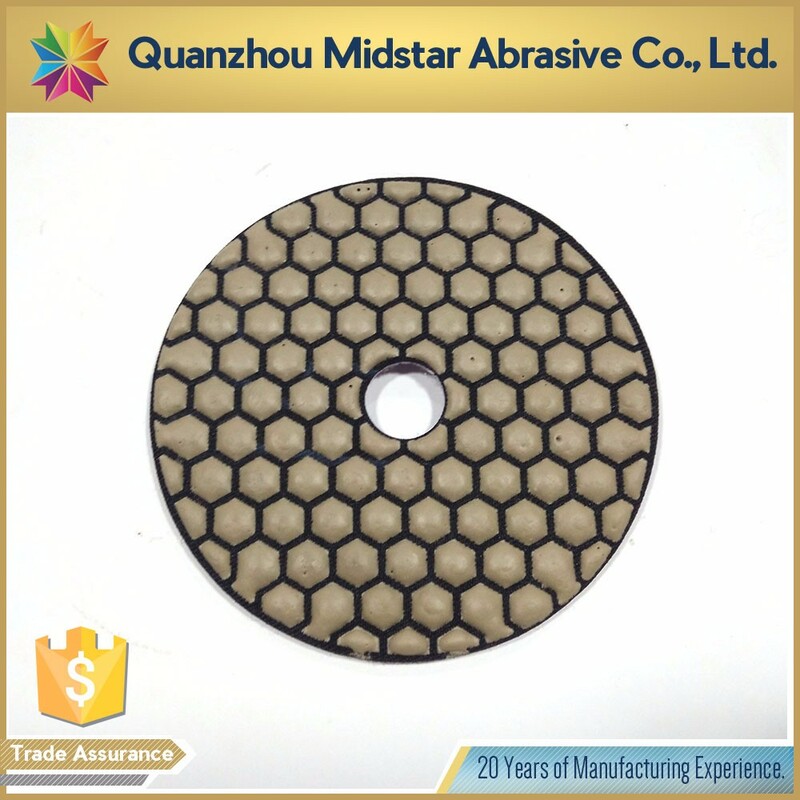 The most efficient tools apply in fast polishing the concrete /terrazzo/granite/marble floors surface after metal pads coarse grinding. It's 7 steps from grits 50,100,200,400,800,1500,3000#. *Step 1: 50 # for Aggressive coarse grinding. *Step 2: 100 # for Coarse grinding. *Step 3: 200 # for Semi Coarse grinding. 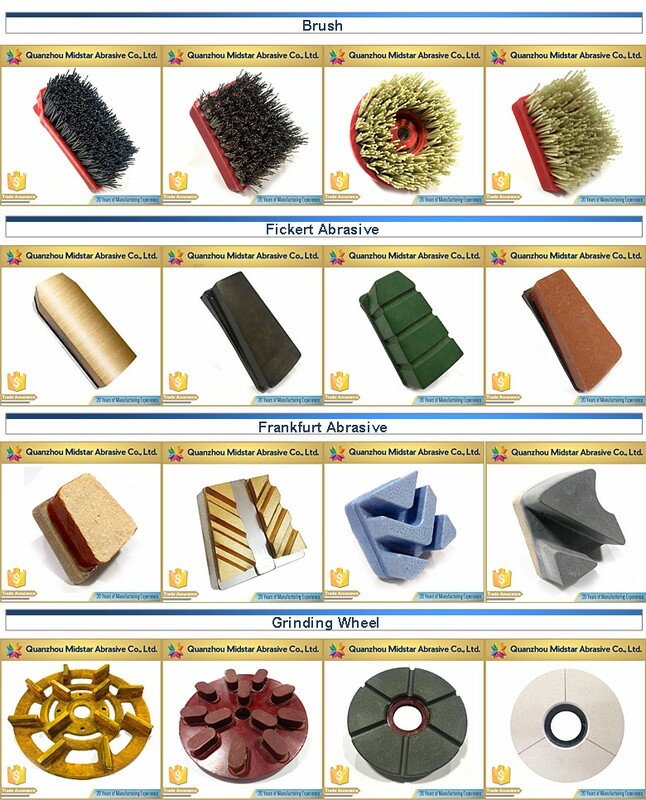 *Step 4: 400 # for Soft grinding / medium polishing. 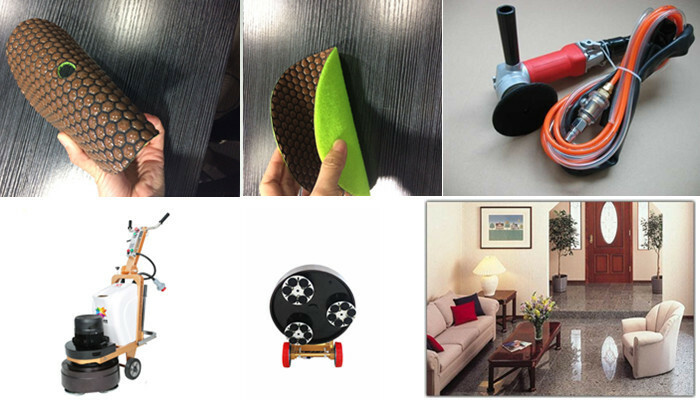 *Step 5: 800 # for Extra polishing. *Step 6: 1500 # , 3000 # for Final polishing. *Step 7: BUFF for Buffing.